I’ve been in Florida for a few weeks to spend time with family and friends before flying back across the Atlantic to Norway for what’s likely going to be my biggest adventure to date. And knowing that soon I’ll be wearing wool long underwear and donning a dry suit to dive aboard Barba as we sail to Svalbard in the icy North Atlantic has made this time in Florida all the more magical. I love the feeling of salt-crisped hair and sandy feet, and the natural massaging effect of the hearty St. Augustine grass that covers the lawns here. 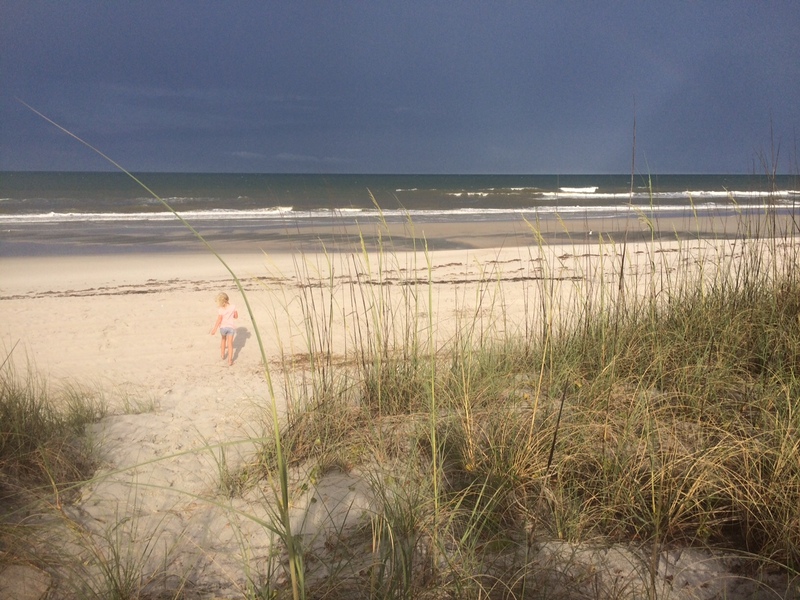 The smell of sun-warmed sea oats on the dunes, and the feel of the ocean in Atlantic Beach this time of year, which is as tepid as a baby’s bathtub but nonetheless refreshing. 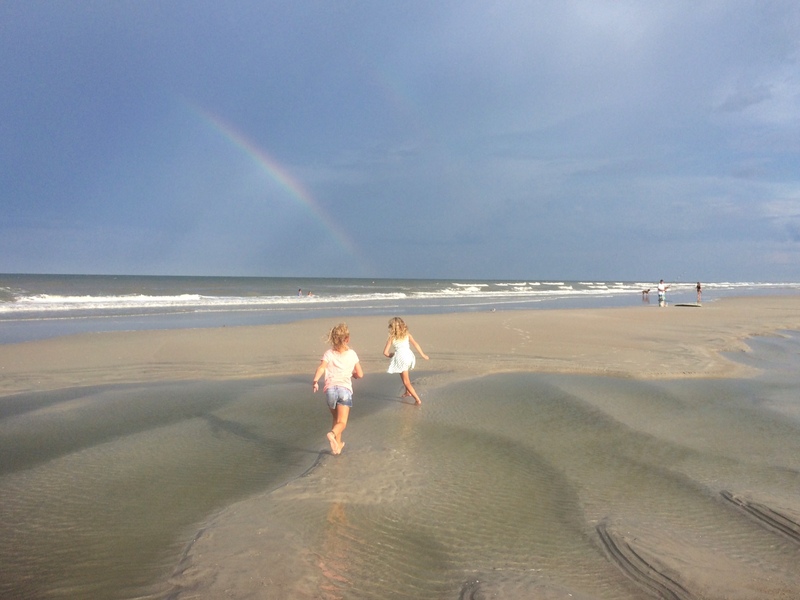 I used to live in Atlantic Beach, right after college, when I worked in an ad agency. They were happy, healthy times – we’d wake up early to run on the beach and then splash in the ocean before going to work, often with dolphins diving all around us. 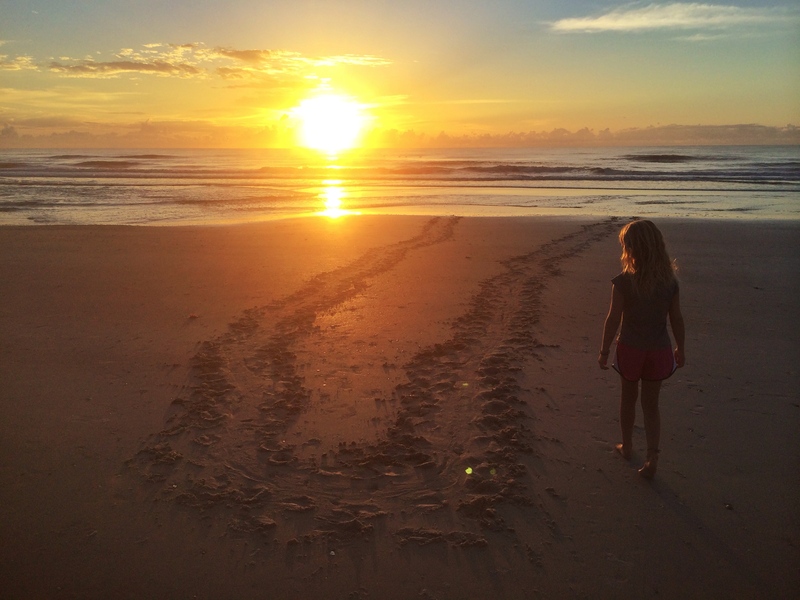 When I first got back from France a few weeks ago, my oldest niece, Maddy, was there to wake me in the morning for our favorite ritual – a sunrise walk. She always tries to sneak out of the house without her three younger sisters noticing, keen for some alone time with anyone who will give it to her. 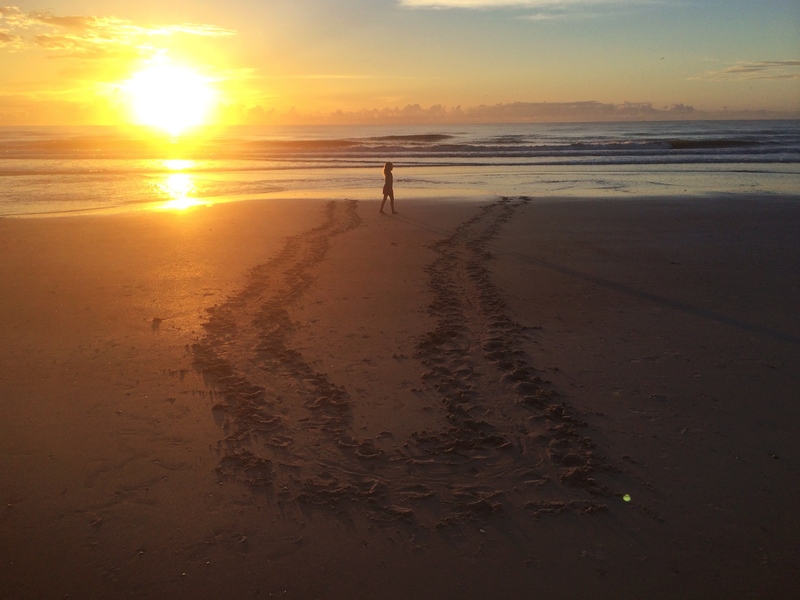 Right in front of the house we happened upon sea turtle tracks. The animal had come up at low tide at some point in the night and made a tight U-turn, deeming the nesting ground unsuitable for one reason or another. We could only speculate. Were the lights on the shore too bright for her? Did something else on the beach scare her off? I always feel like a kid on the beach, because so many of my first memories were made here. I’ll miss the warm waters of Florida when I leave soon, but as always there are other oceans calling.